But there are stages of tackling this problem. We need to identify what things we are doing for free. Things like abbreviated accounts, setting people up on a system or on apps, tax advice, training. 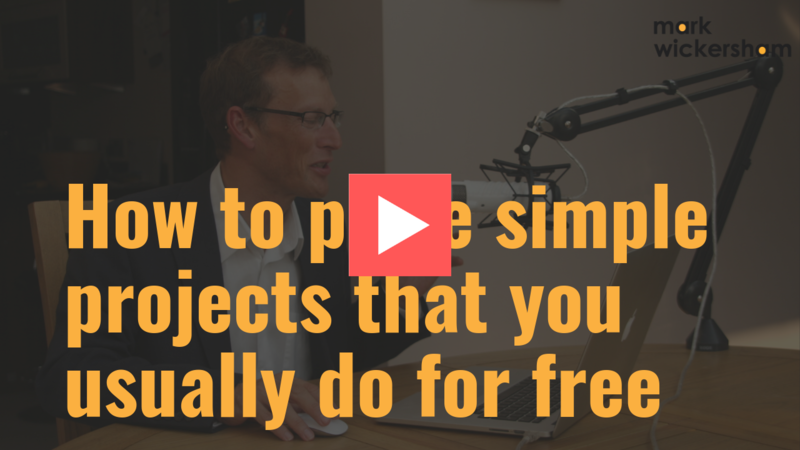 Once you’ve made a list of all the things you are not charging for, you’ll start to recognise when a project has taken longer and why. Very often these are very small projects, so the pricing doesn’t have to be overly complicated. This was really clever; Bob created a reference price of £75 which made the £35 deal look really good, and he scheduled the work for February (a traditionally quiet month in the UK as it’s at the end of the tax season). Within 24 hours Bob had 20 clients respond and a very short time later the work was done and Bob had a nice bonus amount of £700. This illustrates the point that even with something incredibly simple, you can generate quite significant fees. The next level of sophistication in terms of pricing would be to give the client different options using menu pricing. Offer different priced packages with different levels of value and let the client choose. You may have to get creative to add value to the simple tasks. But you can always improve the experience or the service in some small way. You can take this up a final level higher by building it into an even more sophisticated system, perhaps using software like Cloud Pricing where we can give the client various options and really involve them in the pricing. Let’s take cloud accounting set up as an example. Say you find yourself setting clients up on cloud technology seven or eight times a year, and it takes two to four hours each time, then that would definitely be worth spending some time to come up with a more sophisticated system. That would involve using a structured process, giving clients choices, not only bronze, silver and gold, but going beyond that, then pricing based on their exact needs, wants and circumstances. One of my students, Sofia Botchway, realised she should be charging for setting her clients up on cloud accounting systems. She created a system and ended up making an extra £7000 from just 5 clients over 2 months - that’s what you could be missing out on. 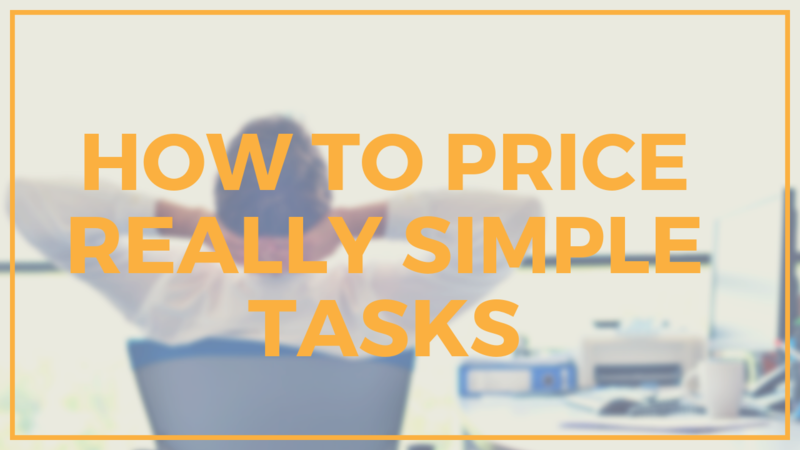 These are some ways of pricing small tasks that usually get done for free. The money you get for these small tasks could build up to quite a significant figure. If you need more help on this subject I'll be running a monthly online training session teaching topics such as this. You can ask me questions during those sessions too. Click here to register and I'll send you an invitation to the next session. If you are interested in joining a group of like-minded accounting professionals learning how to value price, you can join my Facebook Support Group here.